Buying a horse is a complex transaction. This is because there are things you should know beforehand. You need to decide the type and temperament required. Honesty is the best policy and you must be true to yourself: do you have the time to invest in this horse? First time investors in horse ownerships can run into problems at a very early stage. Many horses need schooling, extra exercise and are often more demanding than other horses. The purchaser can often find they are out of their depth and the time constraints on the new owner are unable to be met. The financial angle is also a huge consideration before buying. 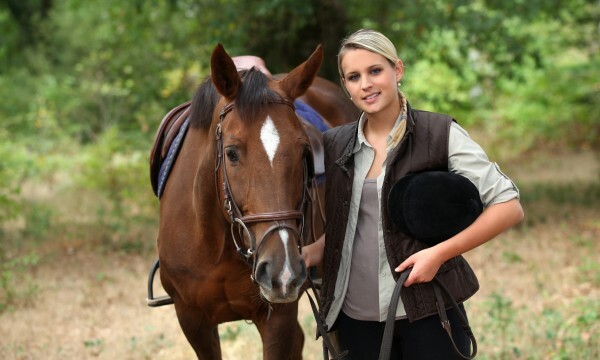 You need to know – long before you buy a horse or a pony – if the money will add up. Can you afford to buy a new horse? Will you meet all the costs of the vet, farrier or professional rider? Can you afford the stable fees? Will you have the cash to pay for tack and feed? Then there is the demand on your time when you need to take a break. In a situation where the owner travels overseas for a couple of weeks, the horse will need to be looked after and stabled. This will all cost extra money – so you need to know if the finances stack up. When you buy a horse you should not purchase blind. Buying a horse without seeing it first should not be considered. Unscrupulous horse dealers have been known to give a horse a good character reference, where in reality the description does not match the personality of the horse at all. To coin a common phrase: the bread is buttered up, before the sale. If you are a novice horse buyer, why not consider bringing along a bit of experience with you when you view your new potential horse? A second opinion from a trusted, well-versed and experienced rider will definitely go a long way to making the purchase an easier transaction. When you buy a horse you need to know some things about the passport. Every horse will have a passport, but does the passport match the physical equine you are seeing at the stables? Moreover, how can you tell? You should look at the silhouette (on the passport) and look for a match. But you can also take the horse to a vet so the microchip can be tested.